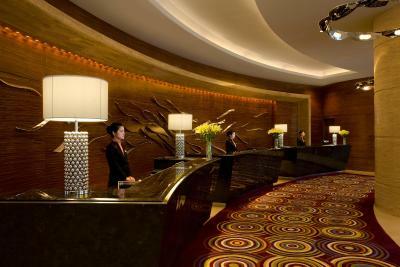 Lock in a great price for Ningbo Marriott Hotel – rated 8.6 by recent guests! Great location and a satisfying experience overall. Although some of the staff--such as the concierge--spoke limited English, they were very helpful and had the right attitude. The room was comfortable, the view was fantastic, and the bed was perfect. They also tried their best to give me a quiet room. Well done. 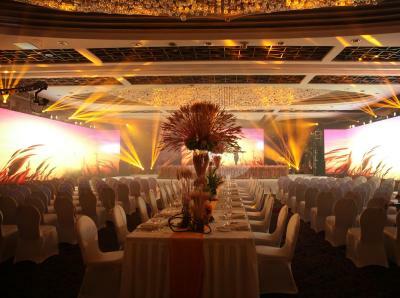 Wonderful location with really good service. Fast WiFi. Comfortable beds and good sized bathroom. the best in town. we were surprised by this property. extremely nice and clean. awesome staffs. with little extra you have free access yo the self service bar area which they provide free food and drinks from 5 to 9 pm. they knocked on your door with fresh fruits. later with green tea. also great view. very happy will go there again. Very friendly staff, great room with the best hotel bed I ever had! Nice swimming pool! Always is a good choice. Nice food, super comfortable beds. 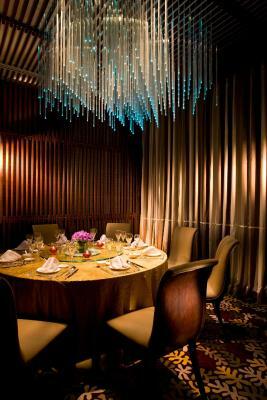 I always stay in this hotel when I go to Ningbo. 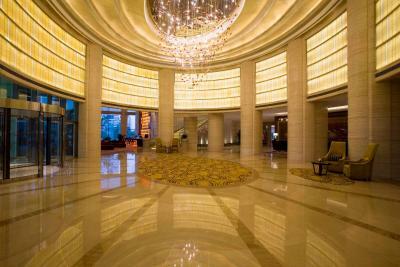 One of our top picks in Ningbo.Ningbo Marriott Hotel is located in the city center, alongside the magnificent Yao Jiang River and Zhongshan Park. 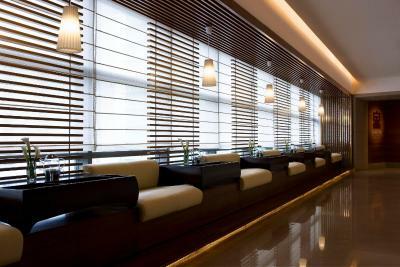 It offers spacious rooms, free private parking, an indoor swimming pool and 4 on-site dining options. Drum Tower metro station is a 10-minute walk away. 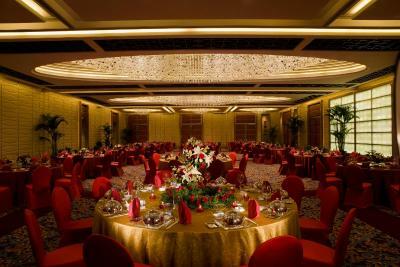 Ningbo Marriott Hotel is a 6-minute drive from Tianyi Pavilion and a 13-minute drive from Ningbo Railway Station. Lishe International Airport is about 30 minutes' drive away. 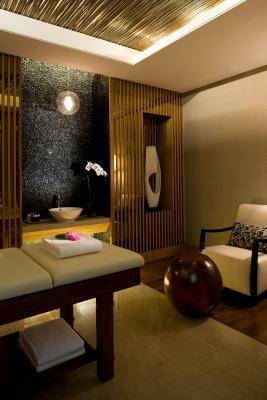 Luxuriously appointed rooms of Ningbo Marriott Hotel feature free internet access, flat-screen TVs and bathrobes. Each room also provides a tea and coffee maker and room service is available. 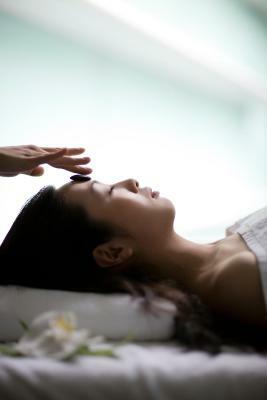 For relaxation and fun, there is a fitness center and Quan Spa. 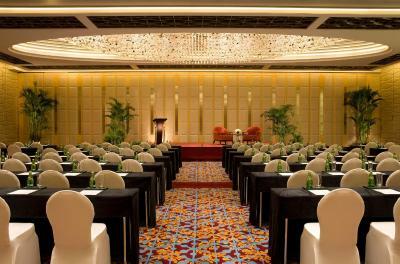 For convenience, the Ningbo Marriott Hotel provides a fully equipped business center. 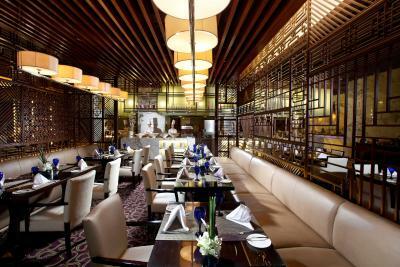 Ningbo Marriott Hotel offers guests a variety of dining options, which include River Café, Emerald Sea Chinese Restaurant, the Glass Bar and the Lobby Lounge. Haishu District is a great choice for travelers interested in culture, seafood and relaxation. 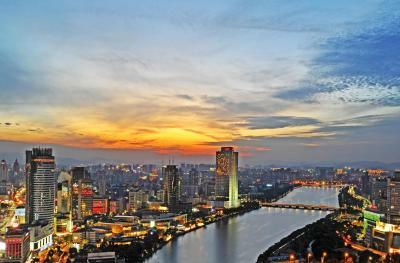 This property also has one of the top-rated locations in Ningbo! Guests are happier about it compared to other properties in the area. This property is also rated for the best value in Ningbo! Guests are getting more for their money when compared to other properties in this city. 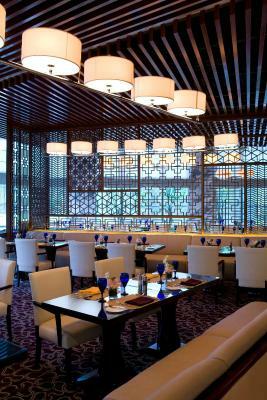 When would you like to stay at Ningbo Marriott Hotel? 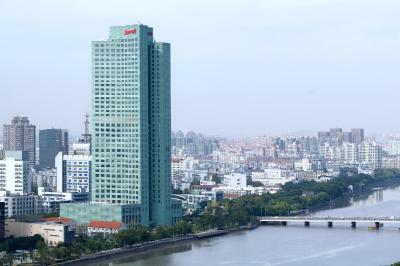 Offering views over Yaojiang River, the spacious room features a mini-bar and free wired internet access. 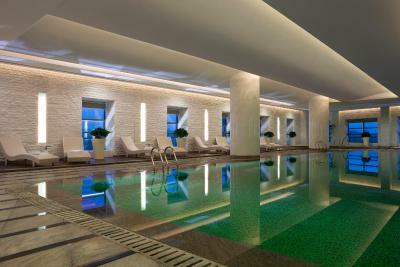 Guests are entitled to enjoy the free access to the fitness center and the swimming pool. 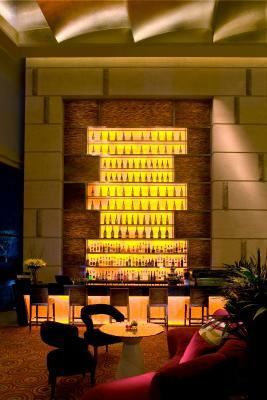 The spacious room features a mini-bar and free wired internet access. 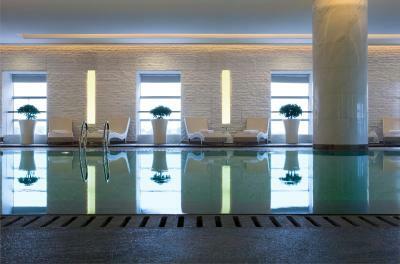 Guests are entitled to enjoy the free access to the fitness center and the swimming pool. Room comes with a mini-bar and free wired internet access. 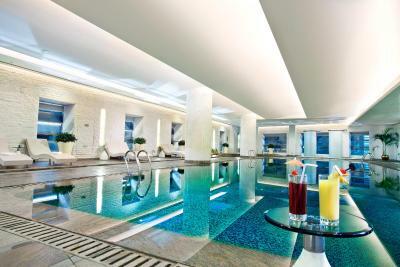 Guests are entitled to enjoy the free access to the fitness center and the swimming pool. 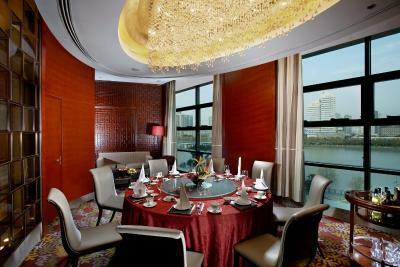 Located on higher floor, the 62-square-yard suite offers the view over Yaojiang River. Guests can enjoy access to executive lounge, the benefits including: free cocktails, free ironing service and late check-out (subject to availability). 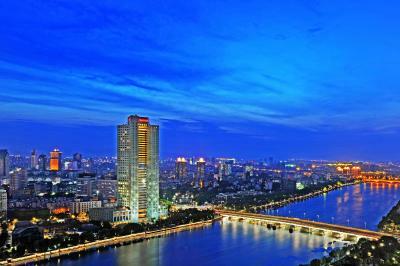 Located on the executive floor, room offers the view over Yaojiang River and a flat-screen TV with satellite channels. Located on the 23rd to 35th floors and offering stunning river views, the air-conditioned room comes with a LCD TV and a safety deposit box. 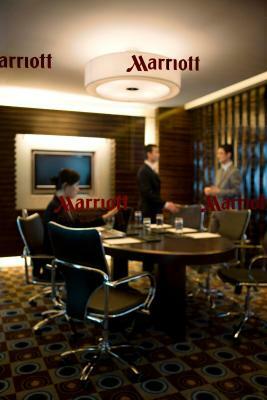 Marriott’s signature Revive bedding and a large working desk with an ergonomic chair are included. The attached bathroom has a separate shower and a bathtub. 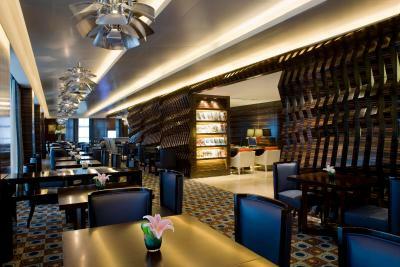 Located on higher floor, the spacious room offers views over Yaojiang River and features a mini-bar and free wired internet access. 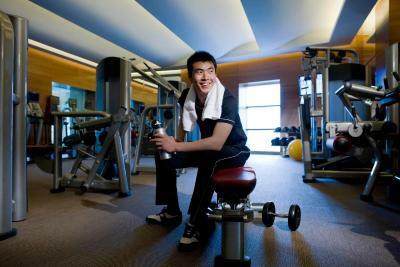 Guests are entitled to enjoy the free access to the fitness center and the swimming pool. Hotel surroundings – This neighborhood is a great choice for travelers interested in culture, seafood and relaxation – Check location Excellent location – show map Guests loved walking around the neighborhood! 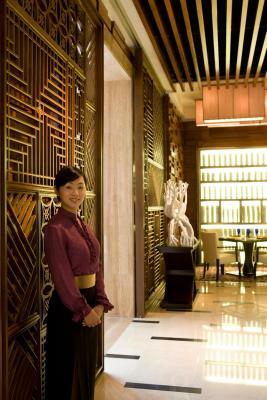 House Rules Ningbo Marriott Hotel takes special requests – add in the next step! One older child or adult is charged CNY 155 per person per night in an extra bed. 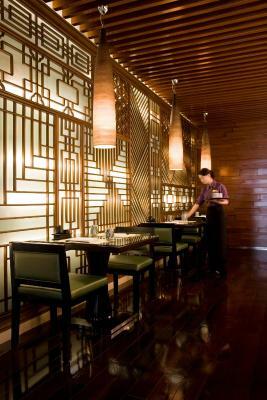 Ningbo Marriott Hotel accepts these cards and reserves the right to temporarily hold an amount prior to arrival. The elevators seemed to be often in use and felt slightly claustrophobic. The breakfast was good, but quite limited in choices. Very standard breakfast for a pretty significant price. No one in the dining room spoke any English. View of Ningbo was great! The staff was not so good in their English. The staff at the breakfast buffet kept cleaning my table while I was out to get food. The hotel room really needs an upgrade. Furnitures and decorations are dated. Need to be cleaned better. Really the only minus point was that the girl in charge of the business center when I used it, could not speak a word of english (contrary to most of the staff at the main desk!).... rather un-understandable! I dont like the liquid soap in the room bathroom, better solid one. Improve pls the continental breakfast, all croissants or pancakes can do better. I appreciated that finally you change the metal cups in porcelain ones, good ! Check in was a little rocky but things were fine afterwards.